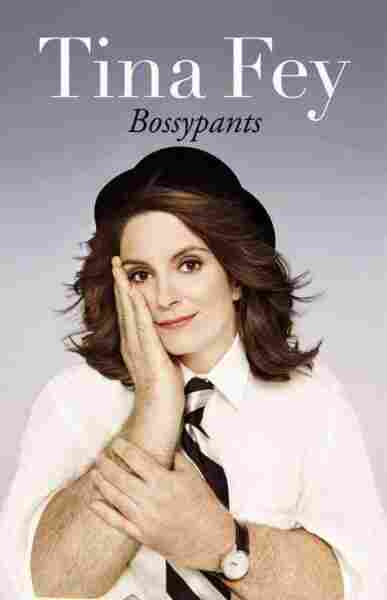 Tina Fey Reveals All (And Then Some) In 'Bossypants' Tina Fey's new memoir Bossypants contains her thoughts on juggling motherhood, acting, writing and executive producing 30 Rock. Fey joins Fresh Air's Terry Gross for a wide-ranging conversation about her years in comedy, her childhood and her 2008 portrayal of Sarah Palin on Saturday Night Live. "I was worried about being the mouthpiece for anyone and being politicized personally," Tina Fey says about playing Sarah Palin on Saturday Night Live. "It ended up being a lot of fun, but it did permanently politicize me in a way." Tina Fey grew up in a household with parents she has described as "Goldwater Republicans with pre-Norman Lear racial attitudes." But, she says, her parents were always supportive of her career, even when she told them she was moving to Chicago to start a career in improv. "To their credit, they never said, 'You like entertainment. Are you sure you don't want to be an entertainment lawyer?' " she tells Fresh Air's Terry Gross. "[They understood] me wanting to pursue this before I had commitments, before I had a family. And I think they knew that neither my brother nor I would ever come back to them destitute." Fey grew up to become Saturday Night Live's first female head writer as well as the star and executive producer of NBC's sitcom 30 Rock. Now, she's also a published author. Her new memoir Bossypants contains her thoughts on juggling her roles as actor, daughter, mother, writer and boss on the sets of both SNL and 30 Rock. When Fey first arrived on the set of Saturday Night Live as a writer in 1997, she says, it initially took her a while to feel comfortable with herself in the writer's room. "My first week, I completely froze," she says. "I couldn't think of anything. It was just too fast a gear shift. ... So I had some pieces that I had written trying to get the job, and I ended up turning them in. And the next week, I think I was able to write something and turn it in. And the week after that maybe, I wrote something that made its way to the dress rehearsal." Three years later, Fey began co-anchoring the Weekend Update segment with Jimmy Fallon. She says she enjoyed the transition. "It's very fun to be a writer at Saturday Night Live, but it's more fun to do both," she says. "When you're a writer and you hit that after-show party, you're exhausted and you maybe combed your hair and you maybe bought yourself something at Ann Taylor. But if you're on the show, you're all fancy. So in that most basic level, it was an upgrade in the job." But anchoring Weekend Update also meant something else: Fey's sketches could never get cut. "You never have that fear and disappointment that the sketch players have," she says. "And it's the only segment week after week where you look directly into the camera and tell America your name, because a lot of times, I realize now, you see the sketch players in wigs, and if they're new, you go, 'Wait, which guy is that?' On Update, you look like yourself, and every week you say, 'Hi, this is me.' So it's career-changing." Even as Fey began to do on-air work, she still wrote segments for the show, often helping the guest hosts with their opening monologue and sketches. One of her favorite guest hosts was Arizona Sen. John McCain. "Sometimes when you have a person all-the-way not an actor, it's just delightful to watch them be game and try," she says. "We all liked him tremendously." In 2004, Fey and McCain did a nonpartisan get-out-the-vote photo shoot for Life magazine in Washington, D.C., and McCain gave both Fey and her husband a tour of the Capitol. "[SNL creator] Lorne Michaels always reminds me that Sen. McCain has that [photo] framed in his office," she says. "[Lorne] thinks subliminally that that's why he liked Sarah Palin when he saw her — because he was used to looking at me standing next to him in that picture." Fey has received seven Emmy Awards, three Golden Globes and four Writers Guild of America Awards. In 2010, she received the Mark Twain Prize for American Humor, becoming the youngest-ever recipient of that award. "[My mom] was 39 when she delivered me. I think she had had my brother eight years earlier, and then in 1960s medicine, they had told her at some point, 'Oh, no, you're done. Don't even worry about it, dear. You're out of business.' And so I was a surprise." "You can find this freshly posted as of yesterday. 'She should be ashamed of what she did to Sarah Palin,' which I think is a discredit to both me and former Gov. Palin. She's not fragile. And I'm not mean. And to imply otherwise is a disservice to us both. No one ever said, 'Oh, that Will Ferrell. He should be ashamed of the way he's conducting himself playing George W. Bush.' No one would ever say that." "They are different. It's funny because it's rare that we're all three together. The way that things are scheduled, I'll go on and it's either a day of all me and Alec ... or all me and Tracy. It's fun when we're all together ... but we kind of know each other by now, and we know the rhythm of who likes to shoot their coverage first and who likes to wait and go second." "At the time it was horrifying. And I developed very early. I was probably in fifth grade getting a bra. I developed breasts so early and so strangely high that the bra was more to clarify what they were. That they were not a goiter or something. It was mortifying, but I can absolutely see making that same mistake because you transition as a mother from literally just pulling a booger out of that person's nose whenever you see one until at some point they assert: 'No, I'm a person. You can't fix my underpants on the subway.' "
"In the episode [of 30 Rock called "TGS Hates Women"], we have a fake website called Joanofsnark.com that the women at Jezebel.com immediately recognized that it was their website basically and it was ... I don't have the answer. But I find it interesting that Olivia [Munn, a correspondent on The Daily Show] gets people who go after her on some of these sites because she's beautiful, and that's part of it. I think if she were kind of an aggressive, heavier girl with a Le Tigre mustache posing in her underpants, people would be like, 'That's amazing. Good for you.' But because she's very beautiful, people are like, 'You're using that.' It's a mess. We can't figure it out." "Alec Baldwin was always a pleasure [to write for]. Queen Latifah ... and Gwyneth Paltrow has a great ear or instinct for sketch comedy, because you have to make a quick choice and go with it and she was really good. Ben Affleck was really good." "He's very pleasant. His mood is always pleasant. His health is an issue. He had a kidney transplant this year and he continues to struggle with diabetes, so that's probably the biggest challenge. He's trying and doing his best, but I've had so many conversations with him where I'm like, 'Buddy. You can't have a 20-piece McNugget meal.' And he's genuinely like, 'Really?' And, of course, I don't know what he's supposed to eat. "But in terms of his desire to be [on 30 Rock] and his attitude, he's always great. I mean, he has a completely different background in terms of training or what he brings than someone like Alec or Jane [Krakowski] who come from the theater. But I feel like I've known [Morgan] a long time now, and I feel like I know how he likes to work, and I like to shoot with him because I feel like I can kind of get his best performance out of him."